CELTIC WOMAN kick off 2019 with the release of their ANCIENT LAND DVD and Blu-Ray due out February 15, a DVD/CD Deluxe combo, and an extensive North American tour. Click here to view the “Long Journey Home” clip. Order ANCIENT LAND here. For their new concert spectacular, CELTIC WOMAN: ANCIENT LAND, the group—featuring the incredible vocal talents of Mairead Carlin, Eabha McMahon, and introduces newest member Megan Walsh along with the sensational Tara McNeill on fiddle–perform against the backdrop of the historic Johnstown Castle in County Wexford, Ireland, accompanied by an orchestra and a full Irish band of drums and pipes, whistles, singers and dancers. The stunning outdoor show features brand new music from their ANCIENT LAND album, alongside timeless favorites. The DVD’s 23 songs include many songs that are all new to CELTIC WOMAN including original compositions “Follow Me,” “Be Still” and “Love & Honour” (instrumental), some Irish traditional songs including “Sive,” “Mna na hEireann (Women of Ireland)”, and “Moorlough Shore” and some reimagined workings of contemporary songs such as “Long Journey Home,” “Going Home” and “Homeland” (full track listing below). CELTIC WOMAN continue to touch the hearts of a huge audience that spans the globe. 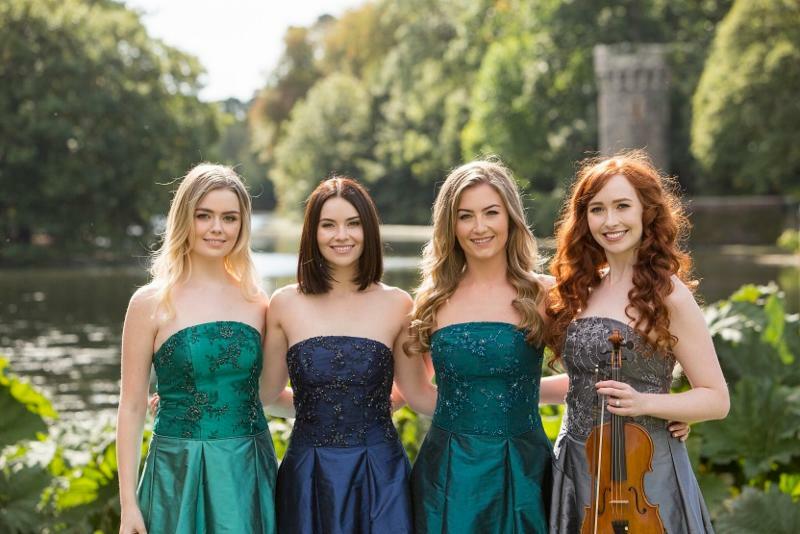 Both an accomplished recording ensemble and a world-class performing collective, CELTIC WOMAN celebrates Ireland’s rich musical and cultural heritage, while continuing its remarkable legacy of introducing some of Ireland’s most talented singers and musicians onto the world stage.